We recently painted these Legion of the Damned miniatures for a client. Consider the FLG Paint Studio for your next miniatures painting commission. This project came out beautifully! The FLG Paint Studio recently finished this awesome Adeptus Titanicus commission for a client and it looks fantastic. Consider us for your next miniatures painting project! 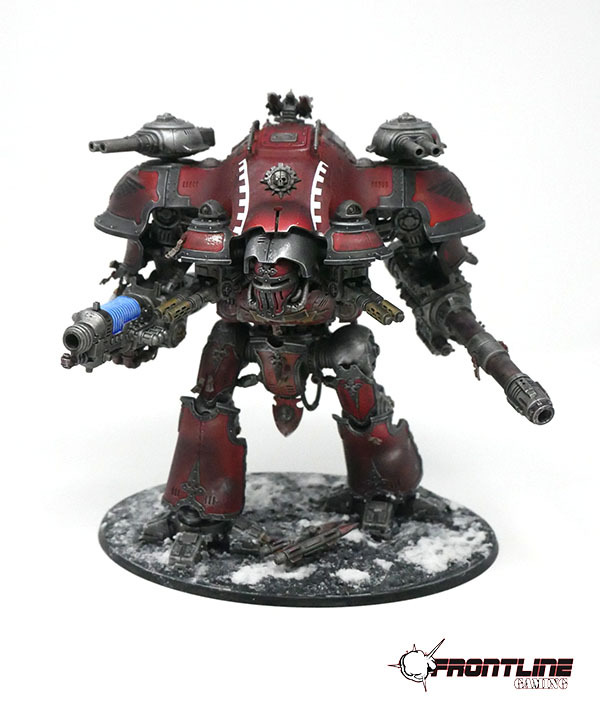 The FLG Paint Studio recently painted this Imperial Knight Castellan for a client. Consider us for your next miniatures painting commission! This Age of Sigmar Stormcast hero on mount was painted by the FLG Paint Studio! 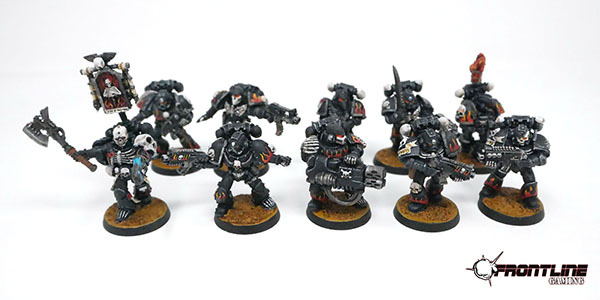 The FLG Paint Studio recently painted these Astra Militarum Hellhounds. Consider us for your next miniatures painting commission. 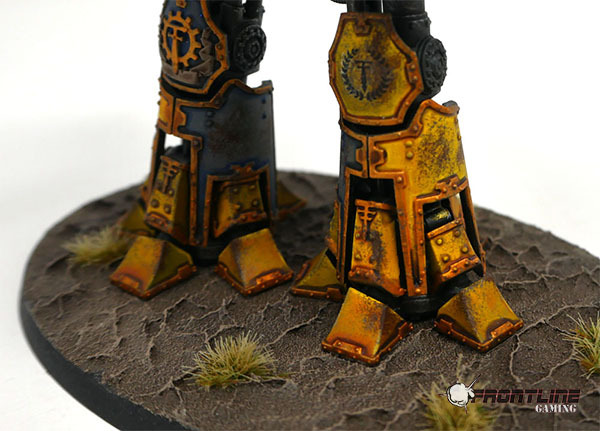 The FLG Paint Studio recently painted these Armiger Warglaives for a client. Completed Commission: Space Hulk Blood Angels! 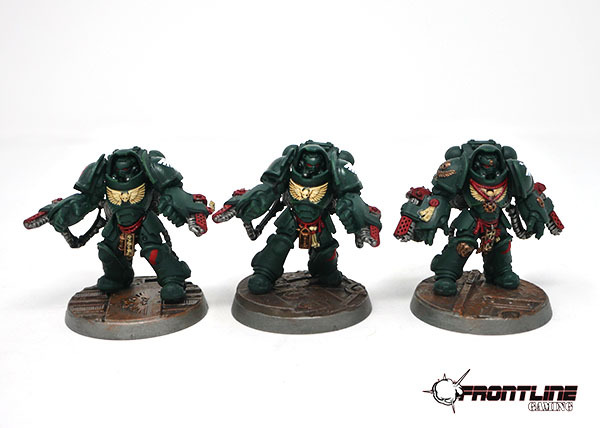 We recently painted these very cool Space Hulk Blood Angels for a client and they came out great! Consider us for your next miniatures commission! 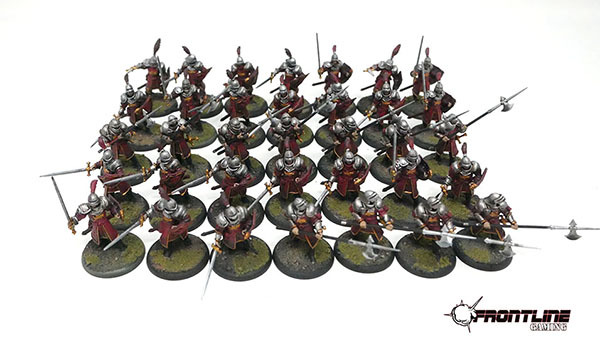 These Shinning Spears were painted by the FLG Paint Studio. These Primaris Blood Angels were painted by the FLG Paint Studio! And here’s the rest of the Nurgle army we’ve been working on. The finished product is gorgeous and will surely turn heads. The pastel colors, clean highlights and high contrast basing create a striking scheme. Consider us for your next miniatures painting commission! This Nurgle army came out beautifully. It features a very striking custom color scheme, with conversions and pink tones on the living models that really jump out at you. The vehicles are a more traditional green and the contrast with the basing creates a beautiful effect. 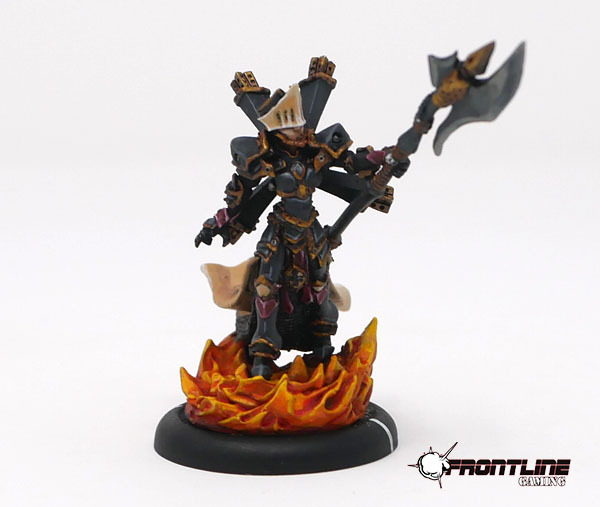 These lovely Warmachine Menoth models were painted by us here at the FLG Paint Studio! They feature some great color choices and clean brushwork. Consider us for your next miniatures commission! This Dark Angels Belial model was painted by the FLG Paint Studio! This 40k miniature has been painted to a Tabletop Plus standard with Level 3 basing. 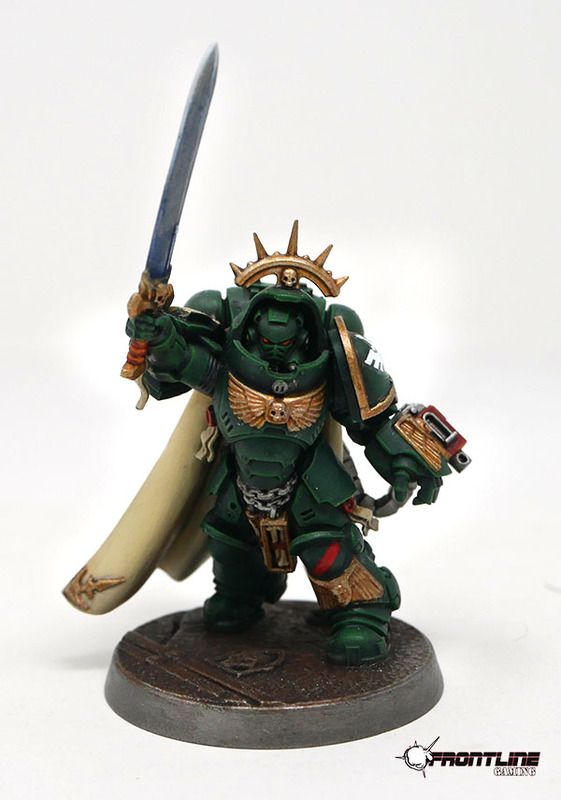 The model features NMM techniques on his sword, multiple levels of highlighting and shading! These Imperial Fists Primaris Space Marines came out beautifully! 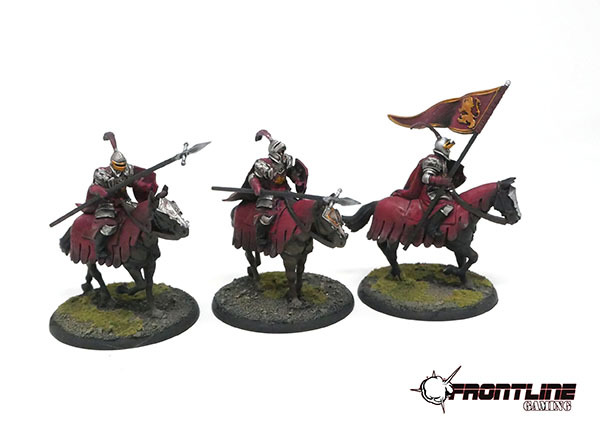 Painted to our Tabletop Standard, this is an affordable way to get an army on the table and looking sharp. Consider the FLG Paint Studio for your next miniatures painting commission. And as always, you can pick up models over at Frontline Gaming at a discount, every day! This very cool, custom Space Wolf character was painted by the FLG Paint Studio! This model absolutely oozes style which it’s beard and custom chainsword glaive. Consider us for your next miniatures commission.